For these roadblocks, you can always hire a professional lawn care company. They offer many services that ensure your property looks great no matter what season it is. At the heart of these company’s services is lawn maintenance. 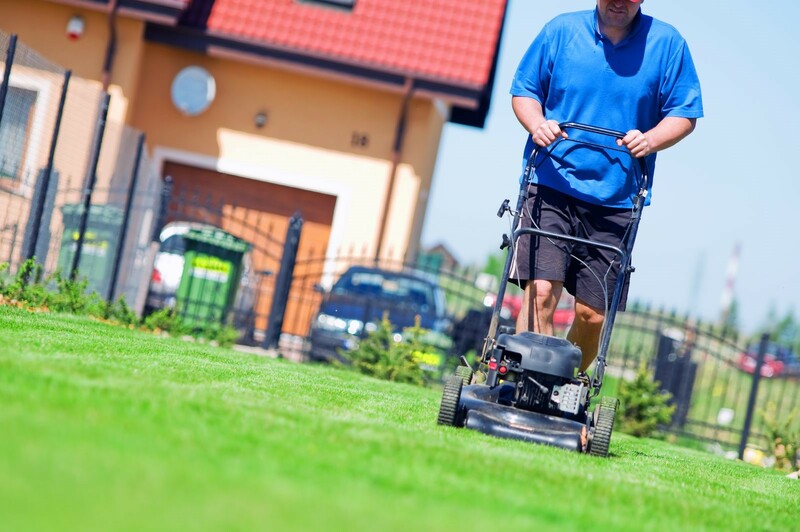 Sometimes your lawn just needs a good mowing or trimming to keep everything looking balanced and professional. These companies offer customized packages, depending on your property’s size, type of grass, and overall aesthetics you have in mind. Each job is executed flawlessly and as quickly as possible. You even have the option of setting up a mowing schedule throughout the year. You may want your lawn mowed twice a week or only on weekends, for example. Some specific services that are typically included in lawn maintenance include mowing, edging, de-weeding, fertilization, and insect control. Even if your lawn has seen better days, these companies have the knowledge and tools to bring your lawn back to its former glory. A huge aspect of residential curb appeal is having beautifully designed landscapes, featuring unique flowers and intricate structures. Lawn care companies can bring your ideas to life so that the elegance of your home is accentuated by landscaping features that draw everyone in. You may know that flowers are essential for bringing color to your property, but may not know what particular species to plant. Lawn care companies can help you decide and pick flowers that work for the particular area you live in. You may live in a cold, dry climate that needs a hardy type of flower, for example. These lawn experts can provide a long list of flowers that would survive in these extreme environments. They’ll also choose flowers based on color to help create a harmonious look that works with the color scheme of your property. In terms of the design itself, these companies will take time considering the focal points of your lawn. These areas are what draw people in right from the start. Generally, landscaping focal points include trees or some type of architectural structure that brings everything together. Just as important as the lawn is the fence that borders it. Your fence may have missing pickets or it may have started to rot. In either case, companies that specialize in lawn care service can repair or replace the entire fence so that no visual element of your property is compromised. For simple repairs, the company may just need to replace a few wooden pickets. This job won’t take long and you can rest assured it will be done correctly the first time. If the problems are a little more severe and a new fence is warranted, you have many options to choose from. Some of the most popular include wood, vinyl, and steel. As far as durability and structure, you can’t go wrong with steel fences. They’ll hold up throughout the years and they can be coated in many unique colors. Wood fences are a little more affordable, but do require some monthly maintenance. As long as you take care of them, they can last 10 to 15 years. As you can see, with a little help from a lawn care company, you can have the yard you’ve always wanted. They’ll make sure visual elements flow with one another and help you present the right image to the neighborhood.